I AM NOT A BRAND! Proper use of InDesign and the Rules of Type are critical to this assignment. See the Project Requirements for details. Identity guidelines showing colors, fonts, etc. Bio aka “about me” aka elevator pitch. Cover letter (with a mocked-up message). Online site customizations. (i.e. “about me” pages, Twitter header, all personal icons). A process video. How you got where you did and why. B&W: if it works in B&W, it'll work in color. Don't forget the handy Adobe Color tool. Serif vs. san serif — or both. Supporting graphics: patterns, icons, etc. Pay attention to type spacing: PLEASE KERN. 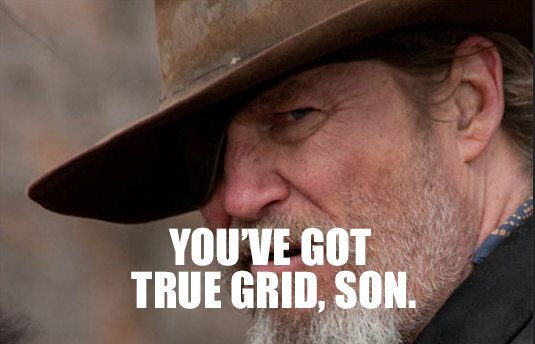 Pay attention to the Grid. Balanced, little to no extras. Easy to comprehend at a glance. Works well and looks good in black and white. Follow the rules of type. Don’t look like someone else’s idea of you. You’re not designing with strict client rules: you are the client. San serif fonts = informal tones. You’ll need a web font and a print font. Know the Rules of Type. Keep it simple: if the viewer has too much to look at, they'll leave. Primary colors = informal tones. Your brand color isn’t always your favorite color. Colors and fonts do have a relationship. Contrast is a powerful design tool. The Grid is apart of the Identity also. Here's a good read about the Elevator Pitch. The elevator pitch is not an autobiography. Consider it the vision you have for your design beliefs. The goal is to get your business card into a client's (or potential employer's) hands and theirs into mine. You do not have to use all the questions (see list below) in your final pitch! You might use just one and end up with a really great idea . . . those questions are prompts to help you get started. How could you answer them differently? Uniquely? The uniqueness of your text will blend nicely into an about me page for your future/current website and social media presence. Have you worked anywhere or are working now? Have you freelanced & if so, where? What are your design philosophies? How would you describe your work & style? Have you won any awards or scholarships? If this person were to ever consider you for an interview what would you want them to know NOW about you? What is the difference between 'about me' and 'about.me'? Please read the provided resources for resumés, cover letters & business cards. These Links are also available on the main page of our DL class website. Thumbnails to refined sketches: It's all about PROCESS, people!!! !